The Independent MEP for Ireland East, Nessa Childers, has called for complete openness and transparency about the operations of the Clearing House Group, the body of senior civil servants and financiers that lobbies government on behalf of the big banks and multinationals in Dublin’s International Financial Services Centre. The MEP’s comments follow further disclosures that the Clearing House Group lobbied successfully for at least a dozen major tax breaks and concessions for big companies in the 2013 Finance Act. Who ran up a €1,600 bill ringing a single mobile number in Pakistan from the Oireachtas? This story is by Ken Foxe and based on a recent story in the Mail on Sunday: Documents obtained under FOI are below. A politican is suspected to have run up a bill of more than €1,600 calling a single mobile phone number in Pakistan, an unpublished Oireachtas memo has claimed. Officials in Leinster House’s telecoms unit estimated that calls to a ‘very small number’ of foreign numbers were costing the taxpayer at least €14,000 per year. Other costs included an estimated €1,249 bill for calling a mobile in Australia, €581 to a mobile in Lithuania, €381 to a Maltese mobile, €370 to a UK mobile, €366 to a South African landline and €331 to a landline in Cyprus. The officials admitted they were powerless to establish whether the expensive calls – made in 2010 – were legitimate as they don’t track who TDs and Senators call on their taxpayer-funded phones. Cuts, and more cuts to all community services and then we get another example of greed, emanating from our political establishment once again! Our political puppets are living in a parallel universe where all their whims are cared for by the surfs’ in our Be- NAMA –republic. This is totally off the wall stuff, there is no justification for this kind of waste and it is imperative that the person or persons behind this phone call should be ousted, shamed and called to account .An audit of all “servants of the people” costs(Including phone calls) should be undertaken and strict limits must be enforced in accordance with the current economic conditions .This leach must be made pay for his or her own phone bill and kicked off the political gravy train in Lenster house! One can only dream! Some day we will rid ourselves of these self-serving cockroaches that have infested our once democratic political system!…..
We do not have to accept this, and we deserve better! The time has come to make a stand against the political puppets in Lenster house, which are nothing more than mouthpieces for the hidden moneymen who now rule our once independent Celtic Nation! Proud Celtic nation of Ireland, get up off your knees and take back your soul. Cast off the chains that bind you to these gutless gangsters who dare call themselves out leaders! Political pensions and lump sums for former TDs, Ministers and Senators have cost nearly €2 million every single month over the past year and a half. An estimated €32.7 million has been spent by the Oireachtas and Department of Finance since January 2011 on pensions for former politicians. The cost includes more than €9.5 million paid in lump sums to the record number of public representatives who retired after the last election. A further €1.5 million was paid out in termination lump sums with another €3.24 million given out in ‘termination payments’. In total, once-off payments came to €14.35 million with a further €12.68 million paid on actual ongoing pension payments. A detailed breakdown of expenditure, which was first obtained by the Irish Mail on Sunday, shows that €371,234 has been paid out by the Oireachtas every single week since January 2011. In terms of top prize for political incompetence in 2011, you’d be hard-pressed to find a better example than the farce that has surrounded the issue of Upward Only Rent Reviews (UORR) in commercial leases; remember both Labour and Fine Gael had promised to abolish UORR terms in existing commercial leases so that tenants would no longer have to pay rents which were set in better economic times, and particularly at the peak of the Celtic Tiger when commercial rents were twice today’s levels. The commitment stymied the commercial property market where transactions dried up as neither buyer nor seller knew what rental terms would apply after the Government’s intervention. 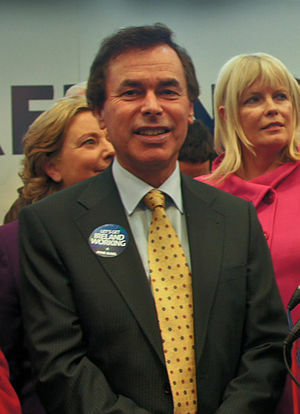 And Minister for Justice, Equality and Defence Alan Shatter issued frequent updates where he re-affirmed the commitment, and for many months the stock response to requests for updates from the justice ministry was that a bill would be brought before the Oireachtas before Christmas 2011. And a framework including detailed legislative provisions went to the Attorney General in October 2011. I am not surprised this shower are only looking after the many landlords sitting in the Dail . Rent supplements are keeping the property prices artificially high and I am surprised that the IMF hasn’t demanded that the government cut this subsidy to private landlords. Property prices are set to fall a lot further as this new penal tax on people’s homes will deter new owners and may even prompt others to sell out of the rental property business for good .I stated in a posting two years ago that we would see Dublin apartment prices come down to the mid thirties (thirty five thousand Euros) Well a friend of mine told me he sold a one bedroom apartment for 47,500 including a park space two months ago and he is convinced that we will see apartments in the mid twenties in two years time .I would agree with him. I am currently living in Germany and I am renting a one bedroom apartment for 300 Euros a month and 100 extra for heating. I could buy this apartment for 42,500 and this would be in a similar area to D4 in Dublin! Around the corner there is a house with 3 bedrooms and I could buy this for 123,000 and I might get it for 115,000 if I had cash! I cannot see any improvement in Ireland as long as we have incompetent political gangsters running the country we need a new revolution and cleaned all these public leaches out of the system a new political setup must be brought about centred on the needs of the ordinary citizen and not on the servants of the people as they call themselves. Cronyism must be stamped out. I do believe that eventually the people will rise up but then even I will be surprised at the extent of the violent reaction against the political leaches that are now sucking the country dry and the collaborators, eager to serve the corrupt moneymen in Europe. The people will have their day they always do eventually so Fine Gael you are been warned the day of reckoning is coming ! recommend that everybody take the time and read it in full at source. definitive (aka permanent) line in the sand on banking crisis. country” – that is pure rhetoric, sir, isn’t it? Mr Corrigan himself shows that it is. Machholz will be there will you??? Joan Burton – Could you live on €188 a week? The government is planning to cut spending on social welfare. It is taking orders from the IMF-EU and wants to make us suffer. The unemployed are being sacrificed to pay off the international bankers. Joan Burton’s has claimed that unemployment is a ‘lifestyle choice’. But this is a real insult to those who are looking for work. Very few of us have cho…sen to live on €188 euro a week. And the last thing we need is another Maggie Thatcher who is trying to turn us into scapegoats. The real spongers in this country are not to be found on the dole queues. We should instead be looking at bankers who have walked away with pensions of over €600,000 a year – after making a mess of the country. The Minister for ‘Social Protection’ Joan Burton has just announced a cut to fuel and household allowances. Struggling households of the elderly, carers, loan parents and the unemployed will be hard hit with this attack. Joan Burton has also stated that if we refuse to accept places on schemes we will have our dole cut by 44 euro a week! The number of free units of electricity available per year will also be reduced from 2,400 to 1,800. On top of this the smokeless fuel allowance to 150,000 people living in major cities such as Dublin, Cork, Limerick and Tralee will be abolished. Blaming the unemployed for unemployment won’t create a single job and is a smokescreen to disguise what’s really going on: Unemployment is caused by the greed of the rich. Investment has dropped by 70% in the last two years. This has happened because people who made a fortune during the boom years are sitting on their cash and waiting for wages and welfare to drop. This is the source of unemployment and no amount of punishment of the poor will rectify the situation. Burton’s attacks on the unemployment shows that she wants to cut social welfare again in the next budget. The only way to stop her is to organise and get on the streets in big protests. Across the Middle East, and in Greece and Spain, people are rising up and demanding their say in how society should be run. We need to do the same in Ireland. • We want a public works schemes to give us jobs. Join us in trying to bring the spirit of revolt to Ireland! Right To Work on Sept 14th at the Dail!